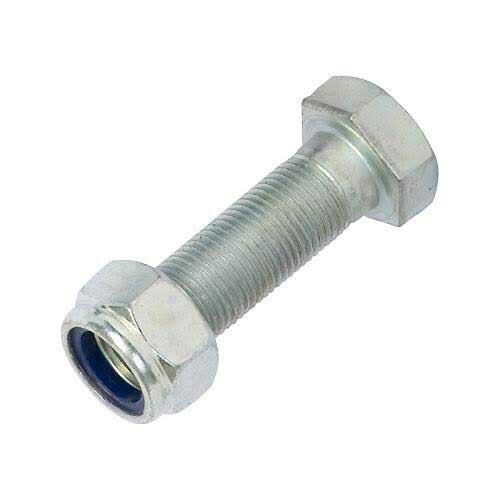 Being one of the renowned firms in the industry, we are involved in providing a high-quality array of Stainless Steel Lock Nut With Bolt. Established as a Sole Proprietorship firm in the year 2016, we “Geet Trade Link” are a leading Manufacturer of a wide range of Turning Holder, Milling Insert, Cutting Tools, Boring Bar, etc. Situated in Rajkot (Gujarat, India), we have constructed a wide and well functional infrastructural unit that plays an important role in the growth of our company. We offer these products at reasonable rates and deliver these within the promised time-frame. Under the headship of “Mr. Chetan” (Owner), we have gained a huge clientele across the nation.